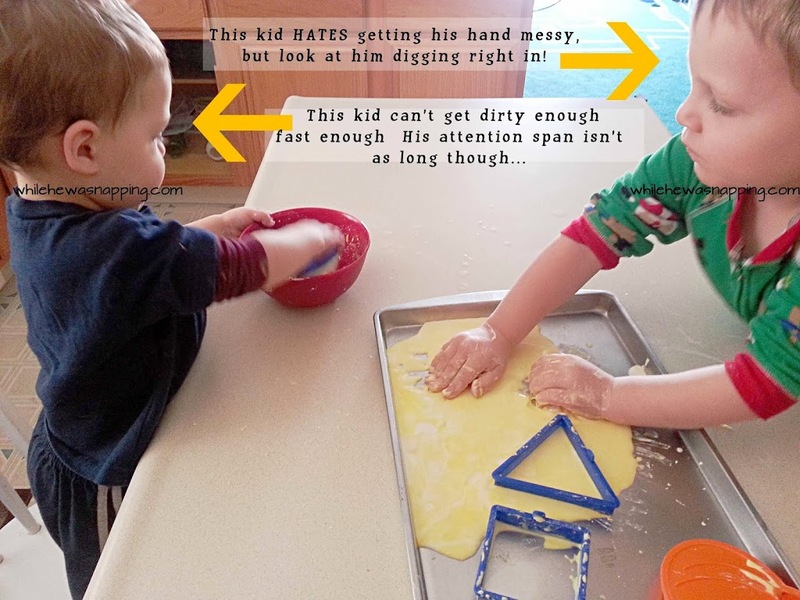 Today, I am going to share a super easy way to entertain your kids for a few minutes. Mine spent about half an hour with this activity. 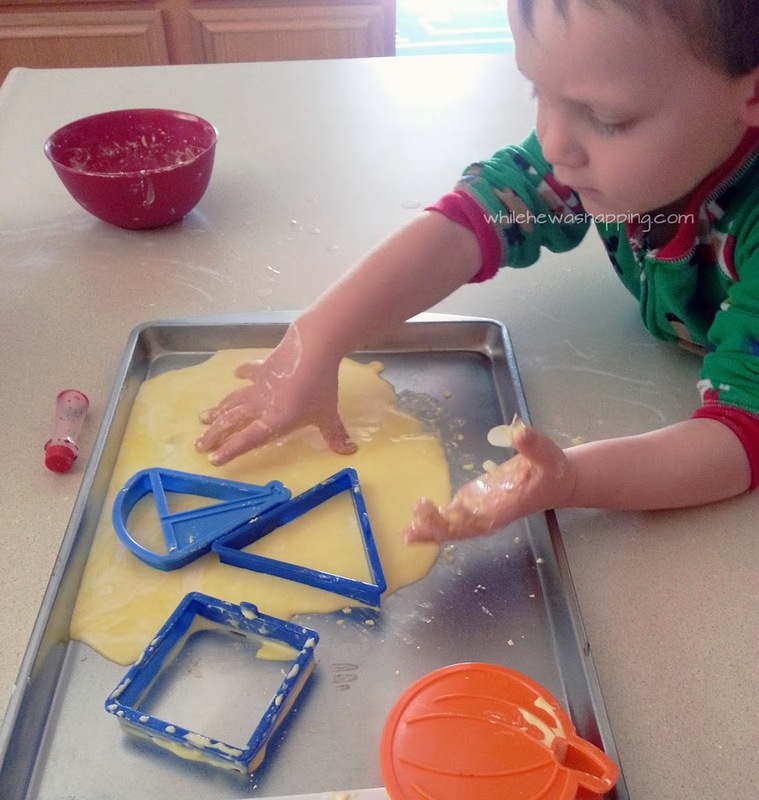 This slime is a little messy, it’s probably one of the easiest messy kid’s activities and clean up is a breeze! – Mix the corn starch and water in the mixing bowl. Stir it slowly to get it all mixed together, otherwise you’ll make a mess and won’t get far. – Add in a couple drops of food coloring (we did yellow) if desired and stir until mixed. 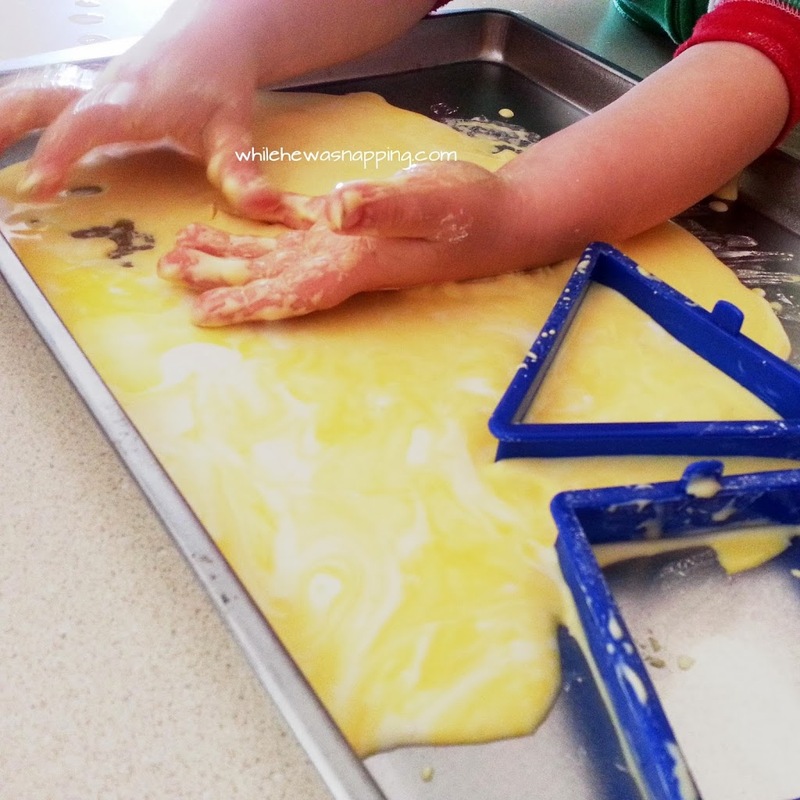 – Pour mixture onto a baking sheet and let the kids play with the cookie cutters and other utensils. – Clean up any spills with a paper towel or dish cloth and sweep into the trash can. Use a damp towel for any fine powder. Both of my kids played with this longer than I expected them to, which was a nice surprise for me. Get all science-y and explain about Non-Newtonian fluids if you like or just let the kids go to town. Even my child that can’t stand to have his hands messy was up to is elbows in this one. Score!